Get the most out of your wardrobe with our Personal Shopping Service. Because with small changes, useful tips and a fresh and professional look from personal shopper, fashion blogger and stylist Sabrina, you'll suddenly know what to do with items that you'd already written off. Want to know more about Sabrina? Check out her website or read the interview on our blog. Want to know more about our Personal Shopping Service? Quickly scroll down. 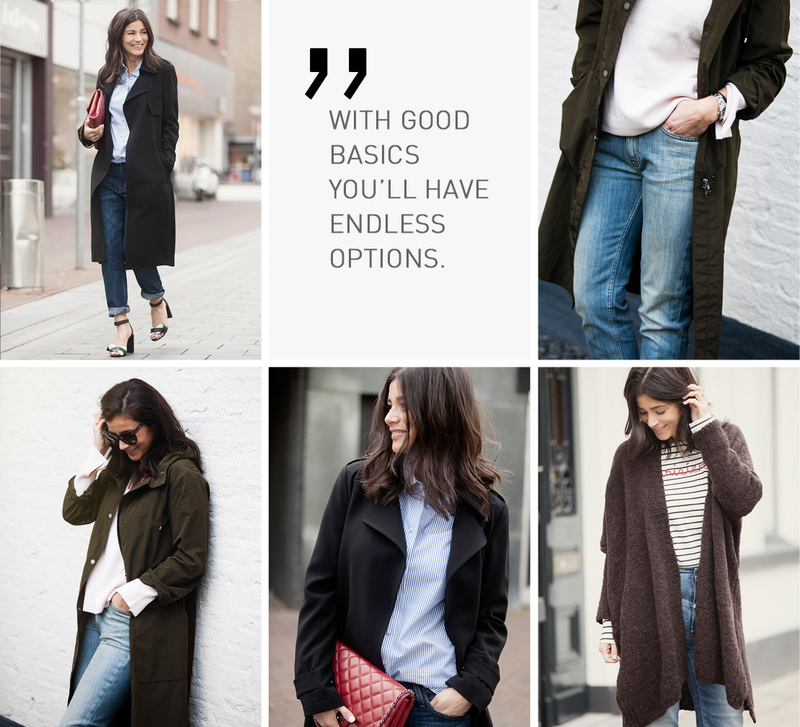 • Book a Personal Shopping session in our PB Store in Haarlem. • Bring self-owned pieces that you need help with. • Sabrina will welcome you in our PB Store for an extensive ánd fun fit and shop experience. During this session, our PB Store and Sabrina are at your total disposal. The shop will be closed for other customers! • Experience Perfectly Basics offline; experience how it's like to shop in a private showroom. • Prevent flop-buys with custom made advice; Sabrina's recommendations are based on your figure and personal style. • Turn your flops into tops; Sabrina provides new insights on clothes you've given up on. • Get inspired; Sabrina provides you with valuable do-at-home tips. • You'll leave our PB Store with a pile of fresh knowledge about personal do's and dont's and lots of new inspiration! FEEL LIKE BOOKING A PERSONAL SHOPPING SESSION? MAKE AN APPOINTMENT HERE OR CALL OUR CUSTOMER SERVICE FOR MORE INFO.